The county coroner’s office on Tuesday identified the backcountry skier killed in an avalanche southeast of Ashcroft as 48-year-old Arin Trook of Aspen. 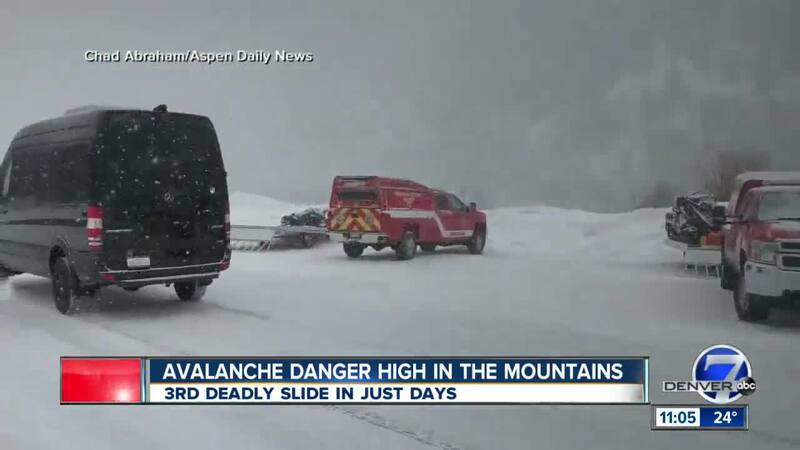 PITKIN COUNTY, Colo. – The county coroner’s office on Tuesday identified the backcountry skier killed in an avalanche southeast of Ashcroft as 48-year-old Arin Trook of Aspen. Deputy Coroner Eric Hansen said the cause of Trook’s death was still pending an autopsy and said the manner was accidental. Trook died after he was buried in an avalanche near the Markley Hut on Green Mountain Monday morning while he, friends and family members were touring in the area. Trook was married with two children, according to the Aspen Center for Environmental Studies , where he worked. Trook spent the past five years as the education director at ACES, according to its website. He also previously worked for ACES from 1996-2000 as a naturalist and teacher and held a bachelor’s degree from Stanford and a Master’s in Education from the University of California at Berkeley. According to a preliminary report from the Colorado Avalanche Information Center, Trook was buried in the avalanche while skiing with several others. A friend performed CPR on Trook, but it was unsuccessful. The avalanche was reported just before 10:30 a.m. Twenty-six members of Mountain Rescue Aspen went to the site to retrieve Trook’s body, the Pitkin County Sheriff’s Office said. In total, 17 people have been caught in Colorado avalanches so far this season. Three were buried and two were killed. In the entirety of the 2017-18 season, 14 people were caught in avalanches, three were buried and three were killed. And two Colorado-based skiers died after an in-bounds avalanche at Taos Ski Valley, N.M. last week. Avalanche danger was rated as “considerable” across the state on Tuesday after another snowstorm moved through Colorado on Monday afternoon and evening.